When you have a bird in your home, there are numerous ways by which you can keep it entertained. One way is through the use of homemade bird toys. You need to remember that birds tend to chew on any toy. 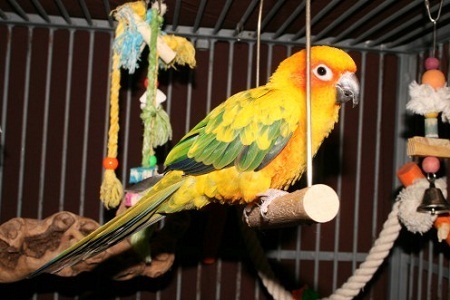 You should therefore construct the toys with materials which are safe for your pet bird. For example, if you use wood to make bird toys, you should ensure that it is free from chemical treatments. In order to add color to the homemade bird toys, you could resort to the use of vegetable dyes. The cardboard swing is one of the most popular homemade bird toys which you can make. This can be done by suspending cardboard board from a toilet paper rope in the bird cage. The suspension should be done through the use of one clean show string. Such a toy is likely to challenge your bird intellectually as well as physically. It is going to try to balance over the swing in order to extricate the tube. If you want to provide your bird with an additional challenge, you could also thread a few beads over the shoestring as well. Birds are very fond of chewing and climbing. These are activities you can combine within one single toy. Such a toy is known as a Popsicle stick ladder. 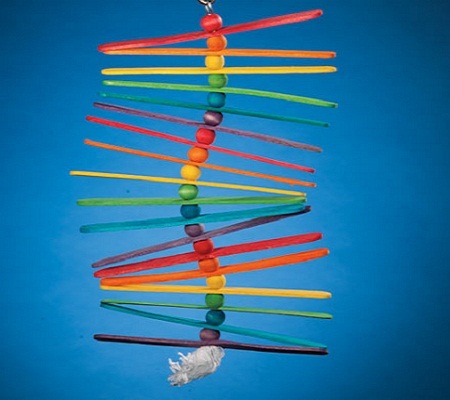 To create such a toy, you need to first thread together a number of Popsicle sticks. You can make use of wooden beads and cotton string as the spacers. You could attach threads at either end of the sticks in order to create the impression of a traditional ladder. Your bird is going to have a wonderful time chewing and climbing its way right up to the top. Birds are fond of solving puzzles and are known to be very intelligent creatures. The homemade bird toys like the bottle toys could therefore positively entertain them. 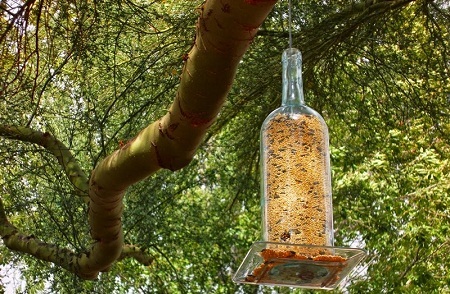 You can place a clear glass or plastic bottle in the bird cage. The cage should contain objects that are brightly colored. This will draw the attention of the bird. It will be excited at the sight of these objects and will attempt to get these out of the bottle. As there is every possibility of your pet bird biting the bottle in order to get the objects out, you need to ensure that the objects which are inside do not represent any kind of choking hazard. If you place a food treat within the bottle, this could serve as a positive reinforcement for the bird’s abilities to solve problems after the bottle has been entirely breached by it. Thus, there are some very interesting homemade bird toys which you can create in order to entertain your bird and keep it in a good mood. Birds are pleasurable creatures and if they are in a happy frame of mind, they can transform your home into a very musical place.